Several years ago I purchased used O&N auxiliary fuel tanks (the old Nayak brand purchased by O&N) from a parted-out Seneca 2 on the Barnstormers website for my Seneca 2. Subsequently, they've been in my hangar for the last few years uninstalled due to the cost of 80 hours of labor to install them. Last month I finally got tired of looking at them and decided to have them installed. The installation started last week and should be done in the next couple of weeks. I've taken lots of pictures during the process and have lots more to take. 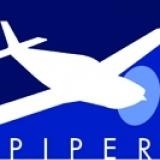 I'm working on an installation article for the Piper Flyer which I hope to have completed and submitted to the PFA editor in early March. This upgrade will add 30 gallons of fuel to my already tanked 129 giving me almost 160 usable gallons. At 23 gallons per cruise hour I will have an almost six hour cruise range. I'm looking forward to completing my article and sharing it with everyone. Enjoy your articles. Looking forward to the Nayak installation and `flight test`. Interested in where you will be going. Like your II, my III has 123 gal usable fuel. 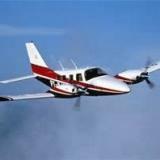 The best mod I have made is the addition of the Shadin Digiflo fuel totalizer, which I have found to be accurate to within 1-2%, so has permitted me 4 hour flights with 1 hour reserve...something I would never attempt with the factory fuel gauges. Let`s have a look at the `new panel`. I'll have a new pic of the panel shortly. As for your Shadin, how about some photos and more information on how it works with your GPS! We'd all be interested in that.